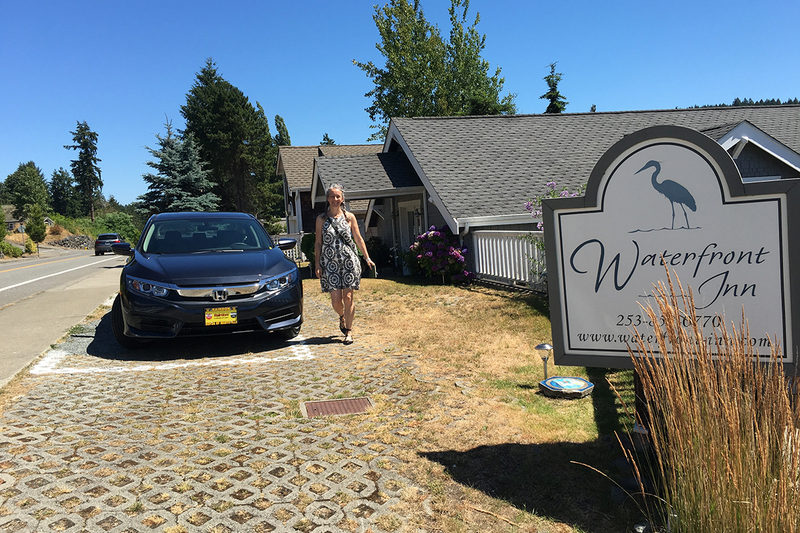 Thanks to the Tacoma Narrows Bridge, it’s simple to reach the idyllic Waterfront Inn in Gig Harbor, one of four featured resorts in Western Washington Honda Dealers’ One Tank Trip Sweepstakes. 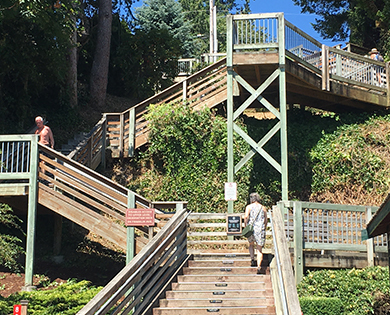 If you don’t know the history of this graceful structure, you just might take the bridge for granted as you zip across for a weekend exploring Gig Harbor’s charming shops, waterside restaurants and maritime culture. You shouldn’t. We’ll get to the current-day joys of Gig Harbor and the ease of Scenic WA’s One Tank Trip in a sporty 2018 Honda Civic, but, first, how about a little respect for that soaring expanse? The Tacoma Narrows Bridge was once known as "Galloping Gertie." Watch this video to see why. Before the bridge, it was a plodding journey to reach Gig Harbor. 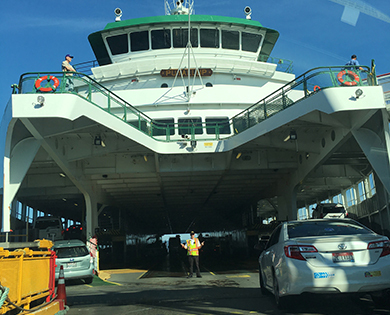 Travelers took the highway through Olympia or a ferry from Point Defiance. By the late 1920s, civic leaders began to seriously consider a bridge to span the point south of Tacoma where the Puget Sound narrows to a mile-wide channel. But with treacherous water below and legendary winds above, construction challenges delayed the project for years. Finally, on July 1, 1940, the Tacoma Narrows Bridge opened. 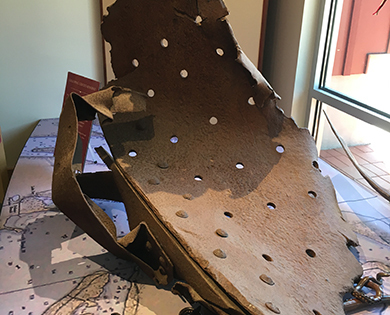 Only four months later, it began to buckle and swing in a windstorm, earning it the nickname “Galloping Gertie.” In a dramatic collapse captured on film, the bridge swayed, heaved and fell in pieces to the water below, simultaneously becoming “the most dramatic failure in bridge engineering history” and one of the world’s largest man-made reefs. With lessons learned from the collapse, a new 5,979-foot Tacoma Narrows Bridge (dubbed Sturdy Gertie) opened in October 1950. A second Narrows Bridge opened in 2007, paralleling the original for east-bound trips. Located directly on the waterfront and featuring a spacious dock, the aptly named Waterfront Inn enjoys a gorgeous view across the harbor to the downtown shopping and dining district... all within easy walking distance. 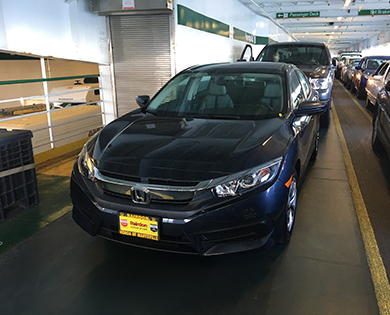 With this history in mind, Scenic WA publisher Marcus Yearout and I gave a grateful nod to engineers as we smoothly crossed over on our One Tank Gig Harbor visit in a fuel-efficient (35 mpg) Civic, on loan from one of our Western Washington Honda Dealers. Before we hit the road, a friendly representative – “Call me ‘Wheels,’” he said – helped us set up our Bluetooth® HandsFreeLink® for on-board navigation and communication. We were thankful for the Bluetooth and our long, easy-going friendship when we hit horrible traffic and detoured past Tacoma. Denise greeted us at the Waterfront Inn. 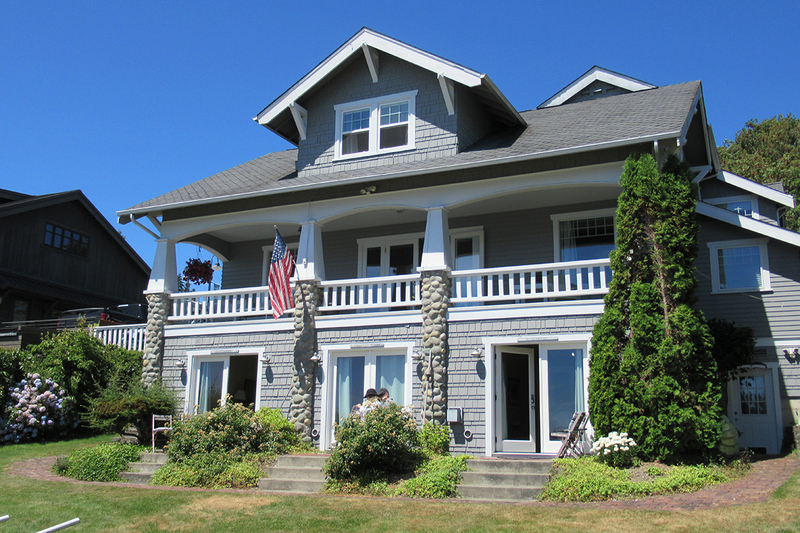 Its head-of-the-harbor, waterfront location is the perfect base camp for a Gig Harbor weekend. Owners Steve and Janis Denton raised the historic home, adding three well-appointed bedrooms below just steps away from the inn’s expansive, 1,500-foot deck. The deck is the perfect spot to spend a sunny afternoon with a book or a sunset evening with a beverage. When the water below tempts you, borrow one of the inn’s complimentary kayaks to explore the protected bay. 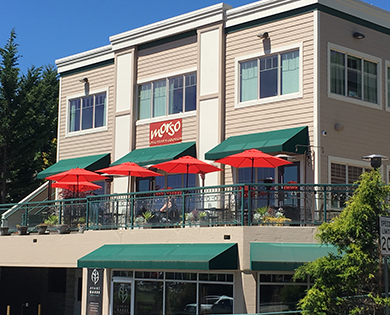 Enjoy the view and a glass of wine on the deck of the Morso restaurant and wine bar. 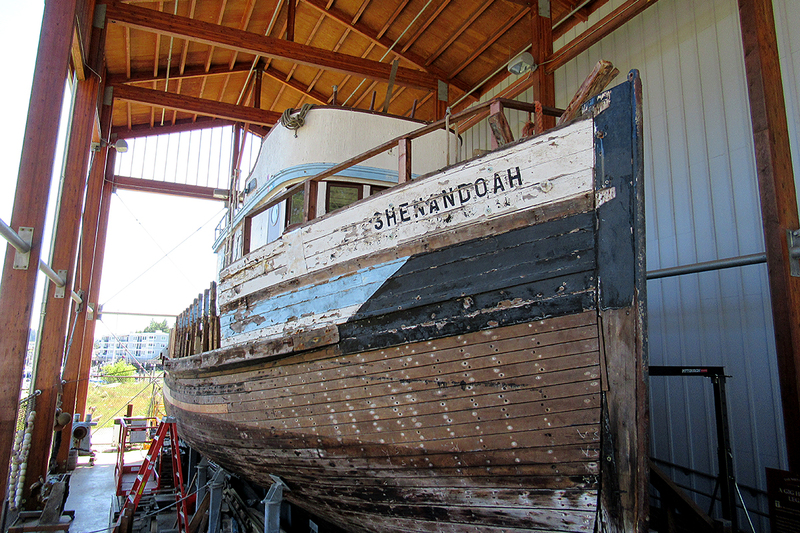 Build a boat in a weekend at the downtown Gig Harbor Boat Shop. 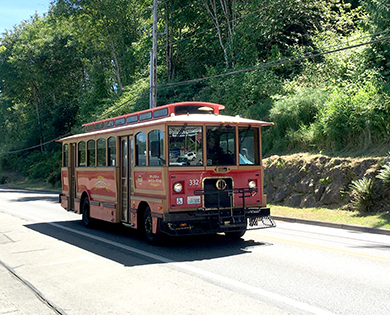 The trolley is a great way to pop around to the town's marina, dining and shopping districts. 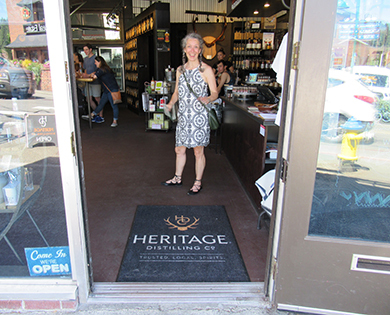 You’re also just steps away from locally owned shops and excellent restaurants. 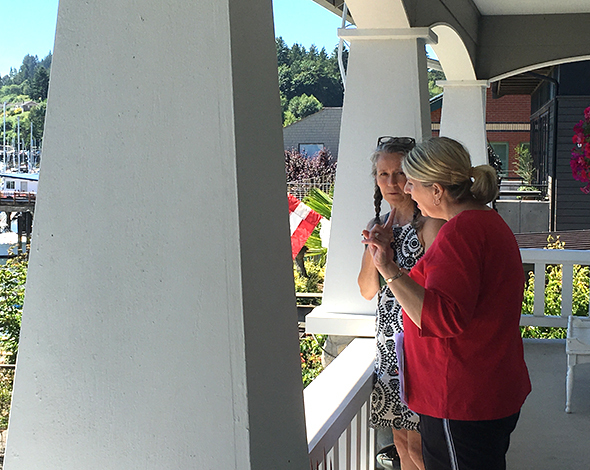 Host Patsy Irwin has counted; it’s just 200 steps to three of her favorites: Morso restaurant and wine bar, Devoted Kiss Café and Anthony’s Restaurant. 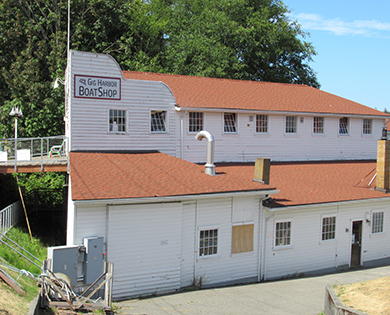 Or keep walking to discover gems like the Gig Harbor Boat Shop, where with reservations, you can build a boat in a weekend. 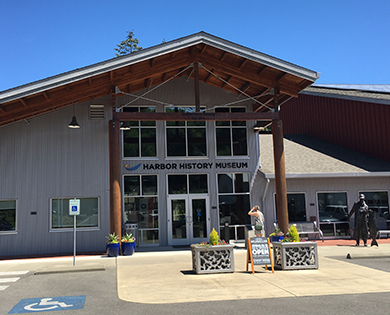 The front entrance of the delightful (and Free) Gig Harbor History Museum. 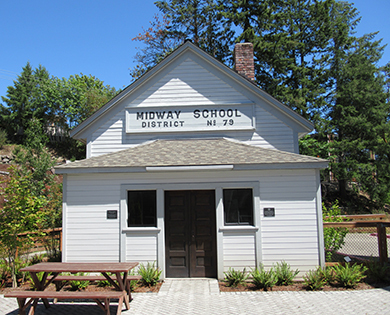 The one-room Midway Schoolhouse has been relocated to the museum campus. This rusted beam is a remnant of Galloping Gertie. The museum has an excellent gallery dedicated to this epic event. 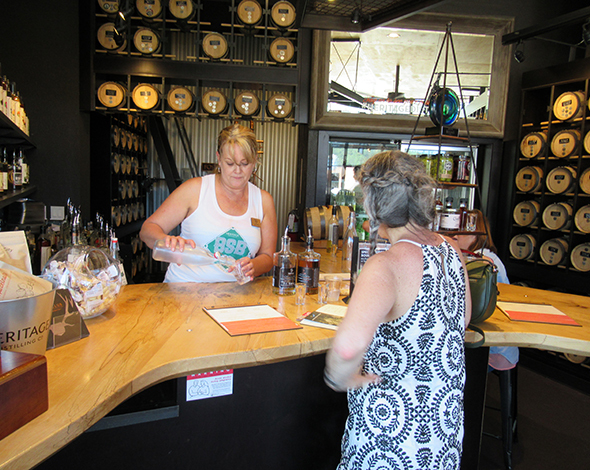 Gig Harbor also has a rich present, including new businesses like the award-winning Heritage Distilling Company. 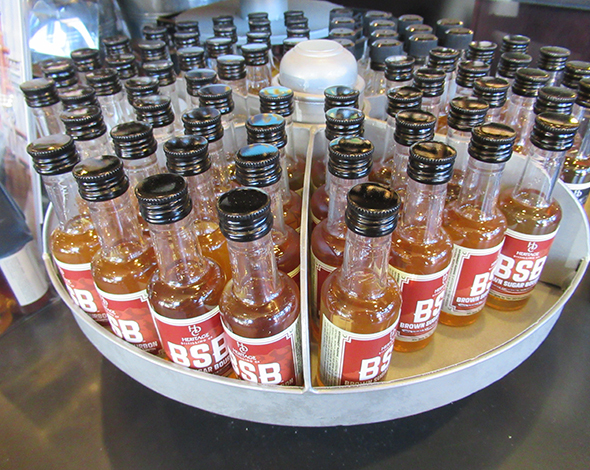 When we entered the downtown tasting room, our host Jenny assessed our whiskey knowledge and quickly took over. She says when neophytes like us visit, her goal is simple: “We want you to find something you like.” Because 60 percent of the family-owned distillery’s employees are women, Jenny says there’s a bit of a “feminist take on whiskey” and a particular interest in introducing women to their small-batch spirits. After lingering along Gig Harbor’s gorgeous waterfront, it was time to return home. As much as we appreciate the bridge, we decided to explore a different route north. We followed the water west on tree-lined Highway 16 to the Kingston ferry landing then sailed back over to I-5. 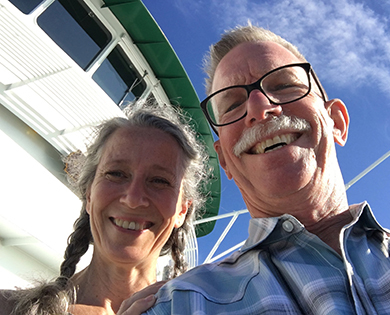 The relaxing ferry ride proves today there’s more than one easy route to Gig Harbor – but for western Washington residents – it’s always less than one tank of gas. Click to Enter the Honda One Tank Trip Sweepstakes! 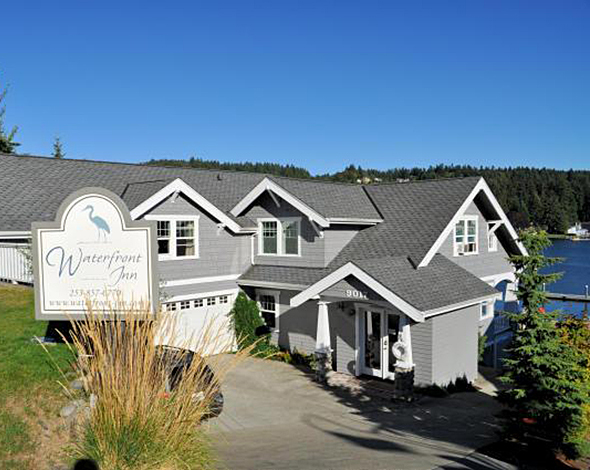 Located on the water on Gig Harbor Bay, the Waterfront Inn is just steps from shops and restaurants and offers private, comfortable rooms in a beautifully restored historic home. 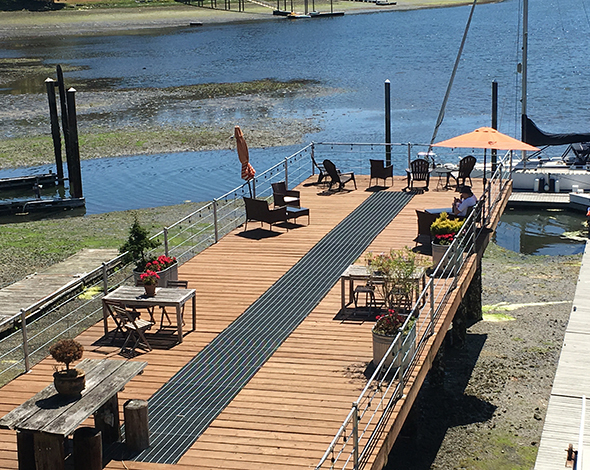 Experience the incredible view from the privacy of your room or from the inn's waterfront deck. 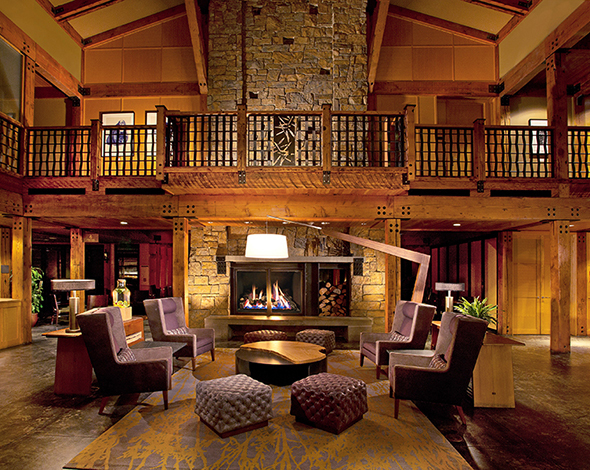 A convenient two hours from Seattle, the Alderbrook Resort takes you worlds away. Surrounded by the Olympic Mountains, the Resort & Spa rests on the shores of the Hood Canal, a glacier-carved fjord home to eagles and osprey, salmon and seals... and of course, the canal's famous oysters. Selected for Condé Nast Traveler’s Gold List, Willows Lodge is located on 5 landscaped acres bordering the Sammamish River in the heart of Western Washington’s wine country. Here in this comfortable, luxurious haven, you can rejuvenate body, mind and spirit. 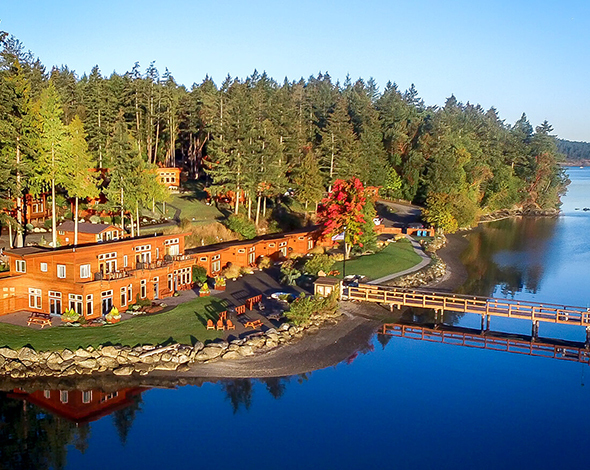 On San Juan Island’s west side at peaceful Mitchell Bay, Snug Harbor Resort offers year-round waterfront accommodations. Once you arrive and explore the resort, you will discover the unique features and comforts that make each guest’s visit amazing and memorable. ENTER TO WIN a 3-year lease on a Honda HR-V or Civic PLUS Weekly Prizes and Weekend Trips! 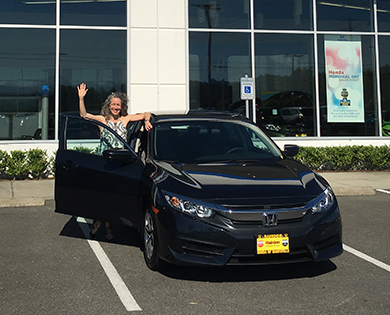 Western Washington Honda Dealer’s One Tank Trips Sweepstakes continues through Sept. 3. 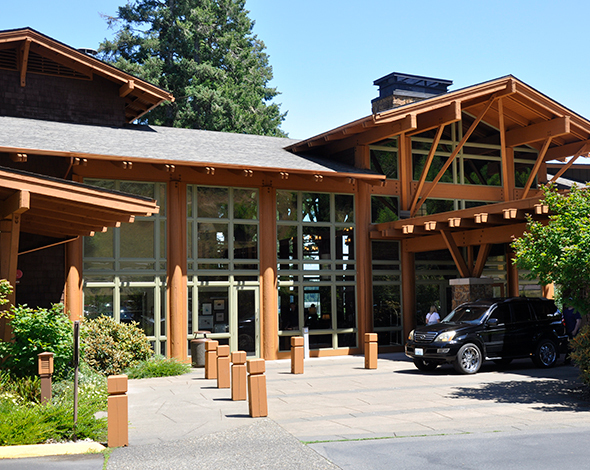 Enter for a chance to win a three-year lease on a 2018 HR-V or Civic plus weekly prizes and weekend trips to Alderbrook Resort & Spa, Snug Harbor Resort, Willows Lodge or the Waterfront Inn. See the website for contest rules.